Over the past few weeks, we’ve unpacked each of these aspects of caring and will conclude this week with challenge. An often overlooked aspect of compassion is the desire to help a person grow. Compassion includes challenging others to attain high-quality results on projects that stretch them. People need challenge in their lives, and leaders need to help their employees see the value of it not only for their own well-being but for the well-being of the organization as well. This concept often reminds me of a story my co-writer Wayne would tell. Some years ago, he was asked to tackle an impossible task. He assumed leadership for a company division that had underperformed for several years. He inherited a group of salespeople whose only motivation was retirement. In addition, the division was overstocked with wrong inventory, and customer complaints were stacked high. He rolled up my sleeves and began working to pull the department together. The first goal was the sales team. Together they worked out some new incentive programs and some additional benefits if sales quotas were met. Then they turned our attention to the customers, and, one by one, they solved their problems, creating a renewed commitment to service within the division. Next came sales and marketing strategies. With the team’s help, they launched a new marketing campaign that began to increase sales. They aggressively sold off the old inventory and partnered with a supplier to provide them with fresh stock from his facility. They were on a roll! In three months sales and profits were up, and the crew (all but one stayed with the program) was happy and productive. This man challenged Wayne to be better. His desire was to help him grow by throwing him into the middle of an almost impossible situation. Sure, the company prospered, but his goal also included Wayne’s personal growth and development. 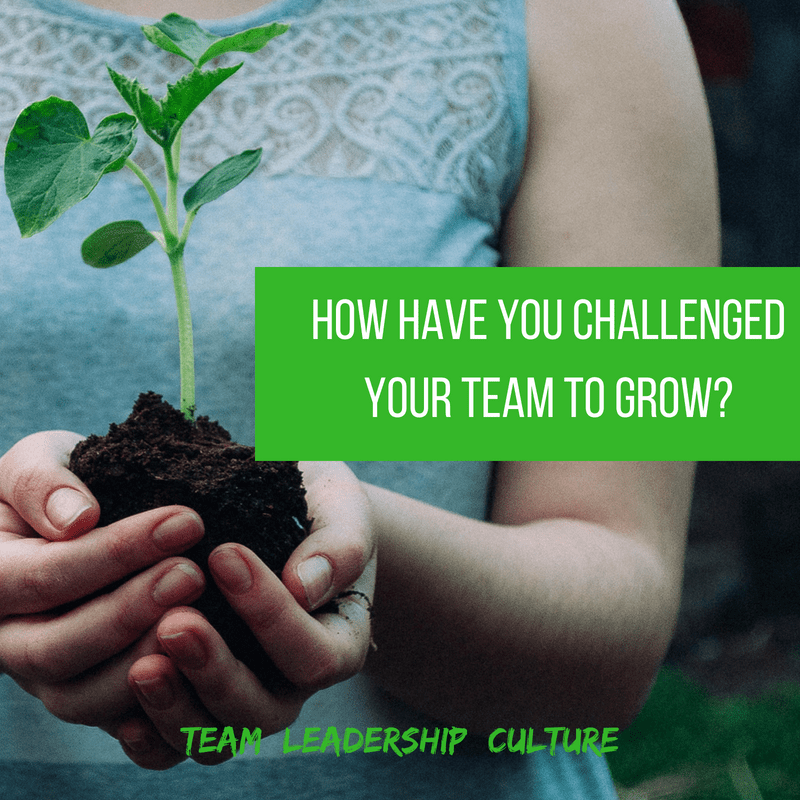 How have you been challenged to grow? How might you challenge those who report to you to grow?